The patent system is designed to protect one invention per patent. In prosecution, the Patent Office may enforce this rule by restricting the claims that will be examined. 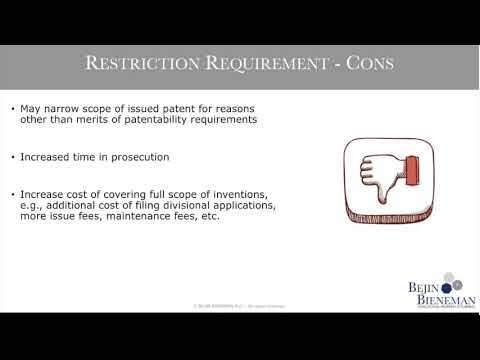 During the August webinar, Mark St. Amour of Bejin Bieneman discusses the ins and outs of restriction practice to help achieve the best intellectual property coverage, as well as strategic choices when responding to a restriction requirement.